CAOS provides divorce mediation for couples wanting to separate and / or divorce and are searching for a way of amicably and effectively organising the necessary changes this will require in their lives. If you wish to use mediation to help resolve issues arising from your separation from a partner, which you have so far not been able to do by yourselves, CAOS Conflict Management can provide this for you. We trust that participants will make an assessment of their ability to pay according to the ranges given below depending on their earnings or circumstances. All payments are to be made in advance of any meeting by bank transfer. Details will be passed once arrangements have been made. £55-£85 sliding scale (unwaged) or £75-£120 (waged) for a session lasting 1-2 hours. Listening to your view of the situation and helping you to decide what you want from the mediation. Explaining what mediation involves including the structure of the Joint Mediation Meeting and the role of the Mediator so that you can decide if you wish to proceed to have a Joint Meeting with your ex-partner. These meetings can be held via Skype or FaceTime. Fees for Joint Mediation Meeting held between you and your partner. Sliding scale of fees £70-£100 (unwaged) or £105-£155 (waged) per person, lasting 2-3 hours. This meeting would be held at a safe, neutral venue with just the mediator, you and your partner. There will usually be additional fees for the venue. We do not hold Joint Mediation Meetings via Skype or FaceTime. The purpose of this meeting is to address all the issues you feel are not resolved that have arisen from your separation. Deciding how you are going to create a different relationship between yourself and your ex-partner to enable any future interactions to be positive and constructive - for example, in relation to your role as parents of any children you have. This list is not prescriptive, you may wish to discuss other aspects of your situation and not the above. It is up to you both what you wish to resolve between you via mediation. Can our children be involved in the divorce mediation process? Yes, sometimes couples wish to bring their children to the meeting and this can occur if requested and agreed to by both partners. How many joint meetings will we need? Sometimes, the main issues associated with a separation can be resolved through just one joint meeting but further meetings can be held if agreed to by both participants. What happens if we agree on things - do we still have to go to court? Once some basic agreements have been reached on how you wish to arrange things, you may wish to ask a solicitor to establish it in some form of legal contract. But this is not a requirement. One of the benefits of divorce mediation can be that very little legal involvement in the outcome is needed. The choice is yours whether you wish to make your agreement legal or not. The benefit of mediation is that the time spent working out the agreement does not require lawyers to be present and so can save a lot of money, but may, if you wish to, involve them after the meeting in establishing the agreement in a legal contract. However, the aim of mediation is that you create ways forward that you both agree is the best for all involved, in which case a contract may not be necessary. So what does the mediator do? Our role as mediators is not to 'push' you to agree, it is to help you to create an outcome that works for you, in a way that you are clear about, and that you feel comfortable with. And if there are things you don't agree on, then it is important that you don't feel pressured to do so. Our mediators will not practice in a way that does pressure you. Separation or Divorce Mediation can enable very flexible and unusual outcomes to be created and agreed to, which are not always possible via the courts, particularly when your interests are being promoted by a legal representative who may not be aware of things you would be willing to agree to as a result of discussing things directly with your ex-partner. This is one of the benefits, besides being much cheaper, that mediation can offer. 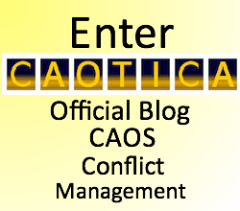 CAOS does not provide a Mediation Information and Assessment Meeting as we only provide mediation for couples who have already decided they want it and so if you do not want it you will need to find a provider of MIAMs to give your reasons. Having the Mediation Information and Assessment Meeting is a simple process but is only able to be done by providers listed with the Family Mediation Council. They will fill in this form FM1 with you at the meeting. It is a necessary meeting if you or your partner do not feel mediation is appropriate to deal with your separation. You will need to show that you have considered mediation by attending a Mediation Information and Assessment Meeting, and that it is agreed that it is not expected in your case, before proceeding to court. At CAOS we understand that you may have concerns about proceeding with mediation and we will do our best to help you through the process by bringing our experience of working with situations involving difficult emotions in all of the areas in which we provide mediation. Please contact us on 020 3371 7507 to discuss your needs further. 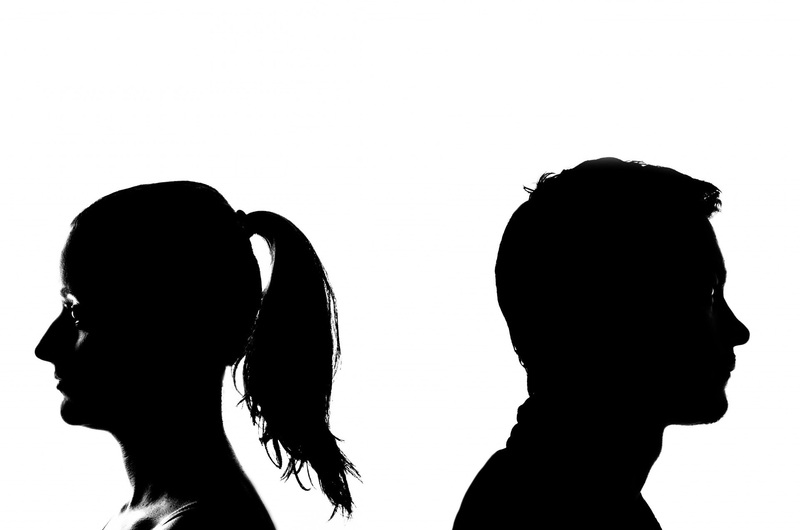 What if my partner does not want divorce mediation? We mentioned above that mediation is not compulsory and so it may be that you or your partner decide not to proceed with it. If your partner does not wish to try mediation, and you feel that you have difficulty in managing the relationship you have following your separation and / or divorce, CAOS provides Conflict Coaching to help individuals deal with difficult relationships they are experiencing. Conflict Coaching is not the same as divorce mediation but it does provide you with 1-to-1 support in managing the difficulties you experience and in finding ways of supporting yourself through them. Conflict Coaching is charged on a sliding scale at £40-£90 per hour plus any room booking costs (you can find your own preferred venue which, if convenient for the Conflict Coach, can be used for the session). A session is usually 1½ hours and there is a maximum of 3 sessions. (See the link above for more information about Conflict Coaching.) There may be an additional fee if the Coach has to travel some distance to provide the coaching or alternatively it can be provided via Skype or FaceTime. Please Contact CAOS if you wish to make an enquiry about having Divorce Mediation or Conflict Coaching. Divorce Mediation - tell us your thoughts! Have you had a good or bad experience of divorce mediation that you would be willing to share? Are you considering having divorce mediation but have concerns? Please let us know these or other thoughts you have about divorce mediation. Your story will appear on a Web page exactly the way you enter it here. You can wrap a word in square brackets to make it appear bold. For example [My thoughts...] would show as My thoughts... on the Web page containing your story.